'Sleep' for kids... simply press play and drift away. If you have young children (5-12) who find it hard to settle, 'Sleep' may be the answer. The Sleep Health Foundation recommends preparing children for bedtime in a way that helps them relax and feel ready for sleep. 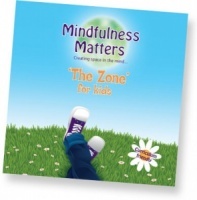 This encourages children away from stimulating experiences, eg. TV and computer games. The brand new 'Sleep' CD does just that. Quality sleep is essential for optimal wellbeing and contentment. It keeps the body healthy and supports the immune system. 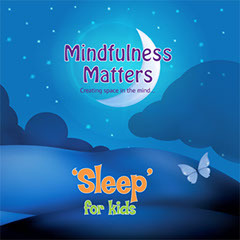 'Sleep' for Kids, by encouraging calm and restful sleep, supports creativity and concentration. 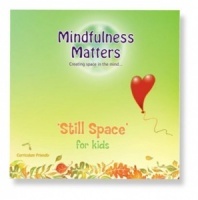 The gentle background music connects beautifully with the soothing tone of voice guiding children through creative visualisation into deep relaxation and sleep. There are 6 individual tracks to choose from. However, some children may prefer to listen to the whole CD as they drift off to sleep.